Swift | Swift Group of College Affiliated to Coventry UK, Bedfordshire U.K, |Swift Punjab|Punjabi University |Chandigarh|Rajpura| Punjab| north India. 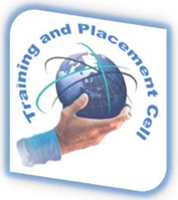 The main objective of training and Placement cell is to provide personal and career related support to the students with special emphasis on world class training on employability skills and ultimately provide placement in various Industries/Organizations by arranging campus recruitment drives & walk-in interviews. Preparing students from a Global perspective. To arrange structured training on communication skills and personality development. To arrange Expert Lectures from outside institutions to train on Employability Skills. Arrange workshops on GD and Interview Skills. Enhancing industry-institute interaction program through various industrial visits of faculty members and the students. Conducting Alumni activities like organizing annual Alumni meet regularly. Interact with various Industries and establish MOU's for Recruitment Drives and also for conducting Seminars to make the students aware of the Latest Trends in various areas. To arrange before each recruitment drive a company/specific training session to make the students concentrate on the specific skills required for that Industry. After completion of each recruitment drive, a feedback session for all the students so as to analyze and make the students aware of the reasons for not getting selected. In order to facilitate placement, employers will be contacted during the year and will be invite those companies to visit our campus to conduct recruitment. An auditorium to conduct the pre-placement talks. Well-furnished and air-conditioned room for interviews. Well-trained and organized placement committee (student representatives). The placement policy and other related activities are handled by the T&P Cell in consultation with the companies hiring manpower.